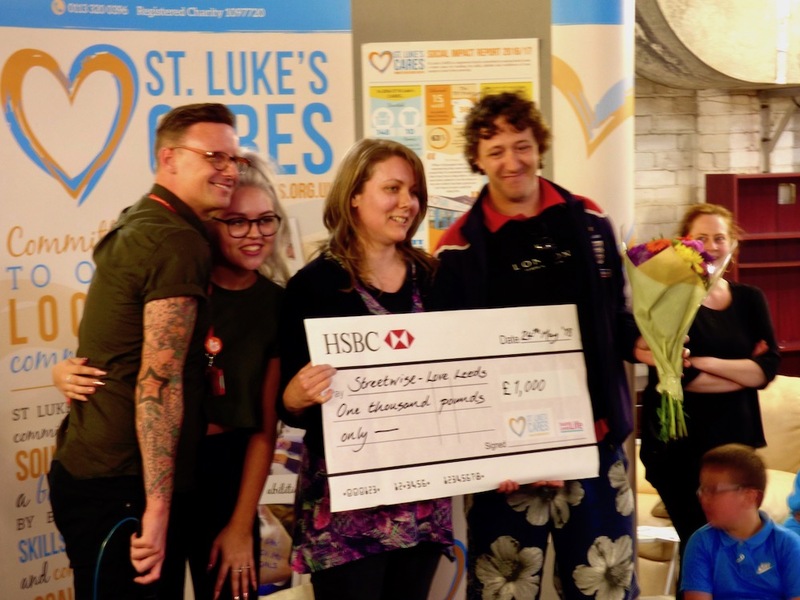 South Leeds Life has once again teamed up with St Luke’s CARES to give community projects in South Leeds the chance to win up to £1,000 AND get some free publicity. St Luke’s CARES have committed £2,000 of money raised from their charity shop on Dewsbury Road to be given out in 3 awards to local community groups in South Leeds. The charity is accepting nominations now until the end of February, with a community panel choosing the best 5 in March, which will then be put to the public vote at the charity shop in April 2019. And how it would spend the cash! First place wins £1,000, second place £750 and third place £250. In the next stage we will send a reporter to write an article about the shortlisted projects which will be published in the newspaper. Finally, customers at St Luke’s CARES’ Dewsbury Road shop will vote for the winners. Last year’s winners were homeless charity Streetwise – Love Leeds. Reetwirlers majorettes and Beeston In Bloom were runners up. St Luke’s CARES charity shop relies on donations from the public. If you want to donate furniture, white goods or household items just call (0113) 400 1182 or visit stlukescares.org.uk to find out more. Tell us about how it would spend the cash! Who? Who are the people in the group? Who are you helping? What? What is the project? What will you do with the grant? Where? Where does you group work? When? When did the group start? When do your activities take place? Why? Why is your project needed? How? How does your group help people? Keep to the 500 word limit, but don’t worry if you can tell your story in fewer words. Include a photo or two showing what your group does, or the issue you want to address. The closing date is 28th February (5pm) – no exceptions. If you applied last year you can apply again, unless you won a grant. Photo: Last year’s winners, Streetwise – Love Leeds, receive their cheque.